… and it is summer travel season, too! Summer is a productive time for us and tends to involve lots of traveling. Fig. 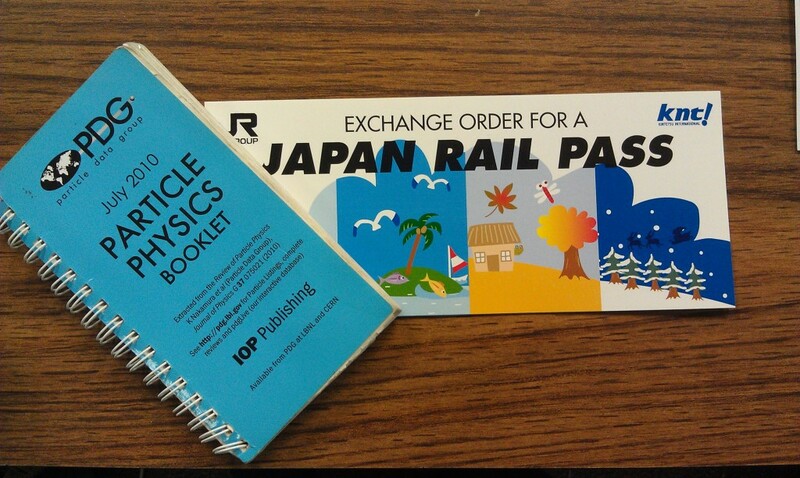 1: My 2010 PDG booklet and my Japan Rail pass. I am not sure which is more important. Neutrinos are all the rage these days: from #FTLneutrinos to θ13, we are determined to know precisely how neutrinos work. 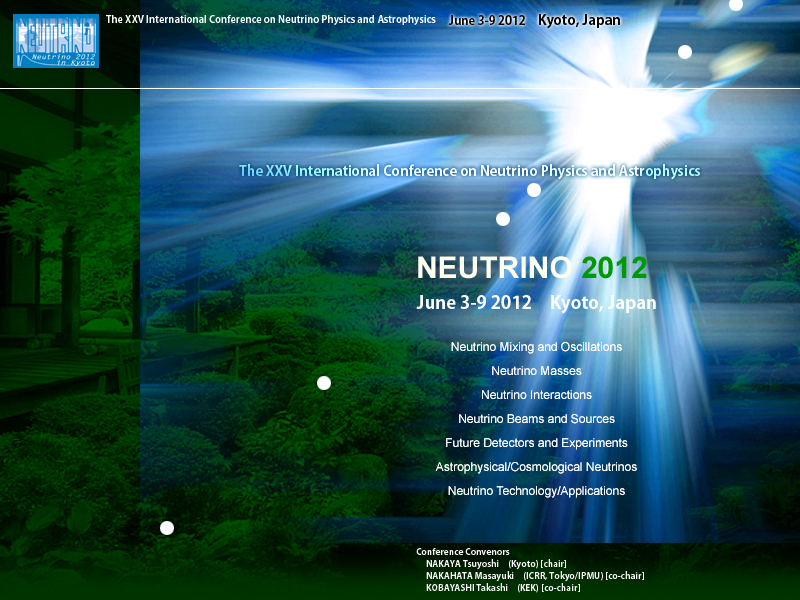 Fortunate for us, there is a huge international conference, imaginatively called “Neutrino,” next week in the gorgeous, ancient city of Kyoto, Japan, and you can definitely count on there be a Quantum Diaries presence. QDer Zeynep Isvan will be around, and, with the suggestion from my chief editor, Daisy, I will be live-blogging the plenary sessions when I can. The programme is also already online, so feel free to check out the topics. After the conference, however, is when things get kicked into high gear for me. 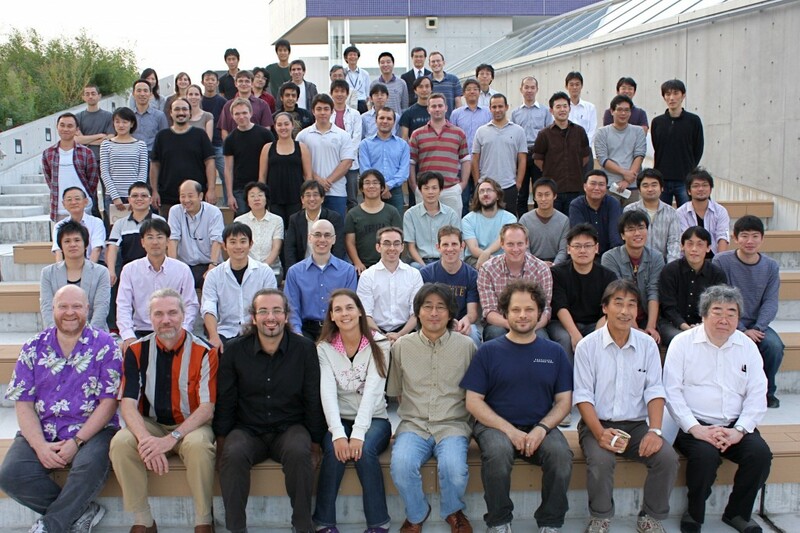 A few months ago I won a NSF summer fellowship to research dark matter in Japan. It is now summer, so for the next three months I will be a visitor at University of Tokyo’s prestigious Institute for the Physics and Mathematics of the Universe, or IPMU for short. I still have plots to make for a meeting today and my first flight is (literally) 24 hours from now. At least I have my trusty messenger bag already packed with two of the more important things: a Japan Rail pass and my 2010 PDG booklet! PS While adding links and sources to the post, I found my IPMU host on Twitter. PPS More than 3.6 fb-1 worth of data has already been collected by the collider experiments. 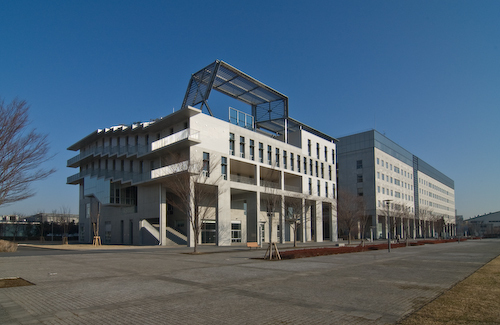 IPMU, the Institute for the Physics and Mathematics of the Universe just turned 3. Since its first birthday, when we were less than half the people shown on this new group photo and the picture was taken in a prefab instead of on the roof of our fancy new building, IPMU has come a long way. I am part of the first generation of postdocs of IPMU. From a close-knit community with a pioneer spirit, our family has expanded a lot. Some colleagues have moved on in the meantime, many of them to permanent positions. Personally, I definitely hope that this trend will continue ;-). Joining IPMU at a point when it had just come into existence and no one knew how it would have developed was maybe a bit of a risk. But the experiment is definitely working well. Our members are very active and IPMU is internationally visible. As a workplace, it is very pleasant. I especially enjoy the interactions with scientists from other fields and the informal atmosphere. And the support we are getting from the administrative staff is amazing. IPMU is a place were we can truly focus on research and do not need to worry about administrative matters. Some prospective postdocs might be worried by the fact that it is located in Japan, which counts as a far-away place for many. But, what can I say, I am having a brilliant time here! And for the practical details of getting started with daily life here, again, there’s the helpful administrative staff and our fabulous language teacher! I am also excited to see how many excellent international visitors we are able to attract. Our regular international workshops plus our liberal travel policy for the members (1-3 months per year abroad) connect IPMU directly to the international scientific community. It’s been great to watch IPMU grow and thrive in the last two years I’ve worked here, and I am confident that it will continue to do so for the years to come. Let’s say Happy Birthday to IPMU, and all the best for the coming years! On Monday, I packed all my belongings living in my office desk and bookshelf into boxes, only to unpack them again one hour later. Why would I do such a thing? Because on Monday, finally, everyone could move into the new IPMU building! It’s all brand new, and right now, there’s still a lot of unpacking and putting up of furniture going on. 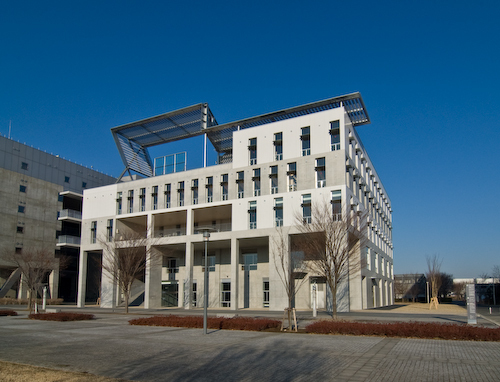 Until now, IPMU was a bunch of people dispersed over two prefabs and different floors of the General Research Building of Tokyo University on Kashiwa campus. The cohesion of our institute was only guaranteed by meeting up at tea break every day, and by the enthusiasm to be part of a new endeavor of everyone involved. Now, IPMU has become a place as well. Apart from the offices, a lecture hall, several seminar and conference rooms and a library which promises to come out very nice, the new building features a big interaction area in the center reaching up three stories, a terrace with chairs and tables, and an amphitheater-like structure on the roof. At night, the angled metal structure on the roof is lit up to give off a dark blue, eerie glow. This is easily the nicest building I’ve ever worked in so far. The office situation during the 15 months I spent in the prefab was less than ideal, but that’s a thing of the past now, and I guess it’s part of the price one has to pay for being a pioneer. Now, postdocs share in two the shiny new offices of the new building. Everyone is very excited to finally be in the new building, and to finally be all together. We can’t wait to see the finished interior and to take possession of everything. This move is a big step forward for IPMU. Budget cuts in science unfortunately happen all over the world. Over in Japan, we all got very worried last November, when the new government announced the intention to cut several science programs by 30-50% and even recommending termination for some. At IPMU, we all wrote letters to the Minister of Education, trying to explain how a big budget cut would endanger our new and so far very successful institute. We contacted colleagues and friends all over the world, asking them to write as well. Fortunately, the echo was very good. Very many scientists from abroad wrote to the minister. I don’t know the exact number, but the vast majority of the 900 letters sent in favor of the WPI program, of which we are part, were sent on behalf of IPMU! This seems to have had an effect. The numbers for next year’s budget are out now. Several programs received severe cuts, but in the end, the existing WPI institutes (including IPMU) will be cut only by 3.6%. This is definitely a number we can live with! In the face of the overall negative climate towards science funding, we got away with only a scratch. This doesn’t mean we can lean back now. The current decision only affects the next fiscal year, starting from April 2010. To get proper financial support also in the future, we have to keep doing a good job and keep convincing people that having an active, internationally visible research institute like IPMU is important both for Japanese science and Japan as a country. But the year begins well. 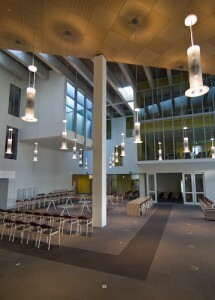 Last week, the Vice Minister of Education visited IPMU, and next week, we will move into our fancy new building! Things are looking good, let’s keep our fingers crossed for the future!